I first ran across today's shop in the "Hearts for Hati" shop on Etsy, and at first... I thought I was looking at an antique. I was drawn... intrigued... and I wanted to see more. I'm so happy I did, too, because what I discovered when I clicked on the link to take me to today's artisan shop was an entire shop filled with gorgeous pieces that just take my breath away. I think my heart truly fluttered. I don't think I've ever seen so many beautiful, intricate pieces all collected together in one place before... and this is coming from a woman that's spent a good deal of time browsing not just on Etsy and the web but also places like Neiman Marcus and Tiffany's. 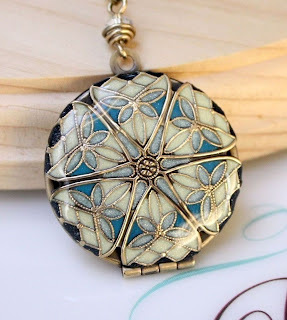 M. Stevenson Designs is the shop I'm talking about, and it's filled with a cornucopia of beautiful lockets in intricate filigree designs guaranteed to please the eye and make each piece a cherished gift for an entire lifetime. Located in Indiana, M. Stevenson uses filigree designs, crystals, resin, sterling silver, vintage beads and brass to create pieces that are timeless not just in quality but in style and presence as well. Her lockets are something you really have to see for yourself and you won't want to pass up once you've seen them so be sure to stop by and take a look. You won't be disappointed. 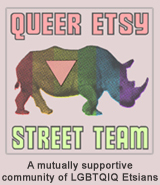 TO VISIT MSTEVESONDESIGNS' SHOP ON ETSY, YOU CAN CLICK THE PICTURES ABOVE OR, IF YOU'D RATHER, CLICK RIGHT HERE! Thanks for sharing! I can't believe how gorgeous these lockets are! And I'm following you, because I stumbled upon you in the forums! Gorgeous lockets, hadn't seen this shop before. Saw you on the Etsy forum (I am AcuteDesigns). I love your blog, you have great taste. Following now! Is that a locket? I just love it! What a find, just beautiful ! !